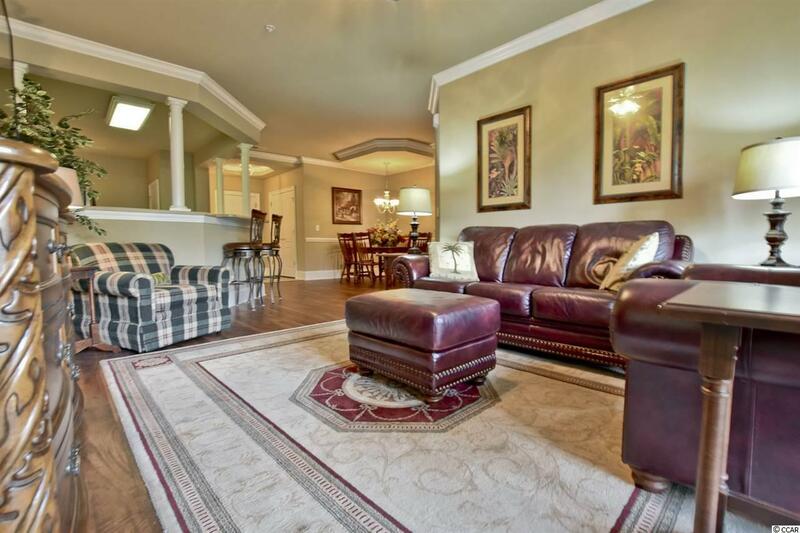 Stunning 3 bedroom 2 bath condo in the gated community of Edgewater at Barefoot Resort. 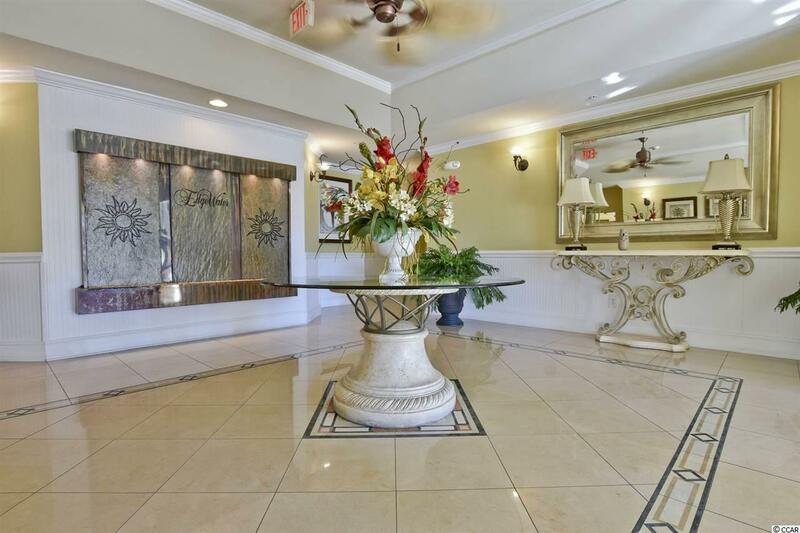 This immaculate, fully furnished condo offers a wonderful open floor plan, gorgeous views of the golf course from your private screened in balcony, beautiful crown molding, new flooring, ceiling fans throughout, brand new flatscreen tv, Silestone countertops, stainless steel appliances, formal dining room, large master bedroom, master bath has a double sink and garden tub, private garage under the building and your own personal storage unit. 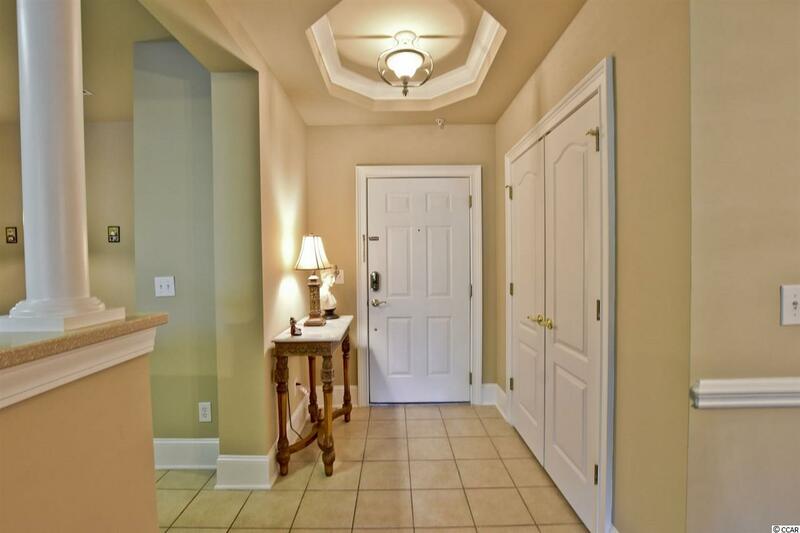 This pristine condo is 100% TURNKEY and used sparingly as 2nd home!!! Enjoy all that Edgewater has to offer such as a private clubhouse, community pool, hot tub, fitness center, fantastic driving range, 4 Championship Golf courses, 2 multi-million dollar golf clubhouses, Bar and Grill, day boat docks, private beach cabana, seasonal shuttle service, spectacular 15,000 SF saltwater pool on the ICW and more. 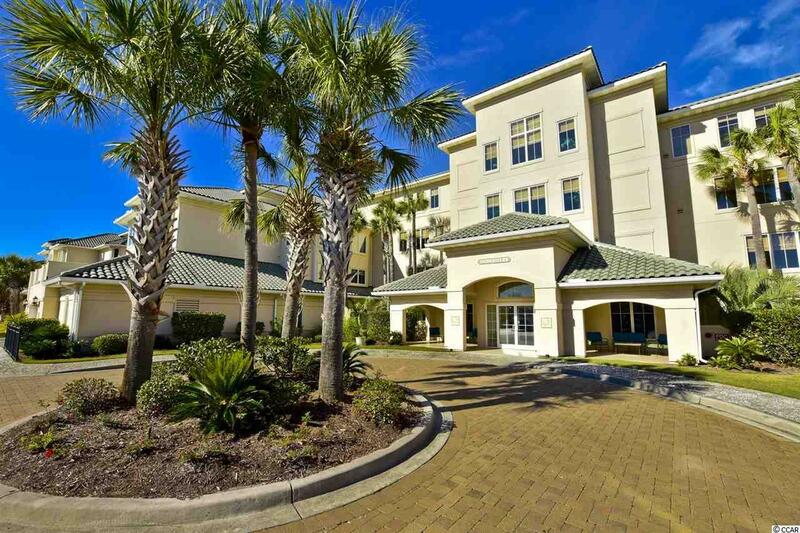 Edgewater at Barefoot Resort is centrally located with easy access to restaurants, entertainment, attractions, shopping, medical, and ONLY a mile from the ocean. Perfect primary residence, investment or beach getaway at a TRUE VALUE!! !